The Holidays are near and coming up with gift ideas for your friends and family can be difficult. While we may not know what to get for the out-of-town cousins or that one aunt you see once a year, we know the perfect gifts to get the beer lover in your life. Craft beer has become a popular trend that only seems to be getting larger, and one way to enjoy it is by whipping up your own batch of brew. Many craft beer companies offer at-home kits containing all the ingredients you need to make your own beer and range anywhere from $30 to $120. If you want to give this as a gift to someone who does not enjoy beer quite as much, you can also purchase cider home brew kits as well. Every avid beer lover knows that the glass you drink the beer out of is just as important as the beer itself. Just like wine glasses, the style of glass you choose for certain beers enhances the flavors and aromas. There are four main glasses that any beer lover needs on their shelf. Pint glasses are perfect for all IPA’s, Ales, Stouts and Lagers; Goblets to bring out the aromas of heavy, malty beers like German Bocks; Tall weizen glasses for all your wheat beers; Snifters for strong beers with a high ABV percentage to bring out the undertone flavors and aromas of double IPA’s and Belgian Ales. One cool thing to get the beer lover in your life is a set of beer facts cards. They can test their knowledge of beer and learn some new facts all while laying down a winning hand in poker. You can also go the personalized route with special engraved bottle openers and coasters. You can never have too many growlers in your life and you are able to get cool exotic growlers online for a fair price. 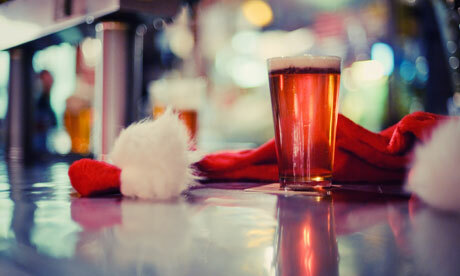 A pub crawl of downtown is the perfect gift to give to the beer lover in your group. Hit all the best spots downtown and enjoy a pint or two at each location. Learn about the history of beer in the downtown area and visit the oldest remaining bar in Las Vegas. You don’t have to worry about transportation, just make sure you are able to peddle to the next destination. For the holiday season you can also enjoy the Vegas Pub Crawl at a discounted price. Contact us today to book your Downtown Las Vegas pub crawl and spend the holidays amongst friends and family.